The Stone House is a stunning stone villa amazing views. With views accross the Straits of Ithaca this traditional stone house is split into two properties meaning a shared pool but this doesn’t dertract from it’s appeal as the place is undeniably cute! 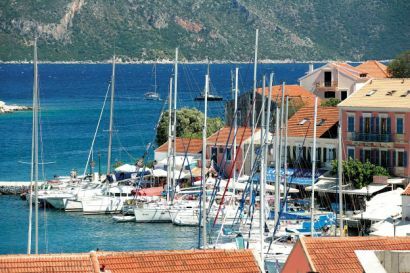 Each property has a private terrace and pretty garden with views over Ithaca and Everti Bay. The rustic charm of natural beams and wooden furniture give a relaxing feel and the location on a pine covered hillside is idyllic. 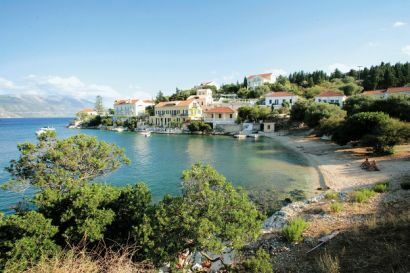 Fiskardo’s bustling harbour is close too, with a selection tavernas and restaurants. Accommodation Video: Opens in external media player. 1. 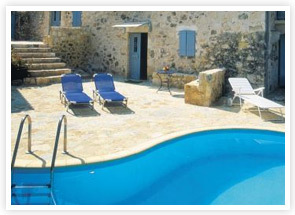 You can check the Stone house’s availability and package prices at Thomson Holidays. 2. 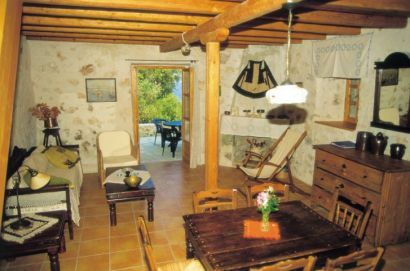 You can also book and check prices at the Stone House with Simply Travel.